A precious friend of mine is hurting. She’s aching at the loss of some friendships. Her marriage is dry and sometimes lonely. She’s been in the slow, sticky fight with depression. She’s working hard on all of it. Counseling, mentoring, medication, prayer. But it’s all so hard. She wants to be seen and loved. She wants friendships that feel safe and sacred. She wants a marriage that’s life-giving. She can articulate all of this so well, and yet there’s a blockage. A problem she can’t get her hands around, that keeps any of it from working. You may have the same problem. Sometimes your self-protection is hurting you more. In her mind, it all makes sense. If she found the right friends, she could trust them. She could share her heart. If her husband could demonstrate the right kind of care, she could trust him. Then everything would be alright. But it’s not working. She can’t open the one door that would give her the thing she most wants. The kind of friendships and marriage that she wants, they’re possible on the other side of that door. She’s been hurt. Of course that means she’s hesitant to trust. It’s cost her too much in the past. 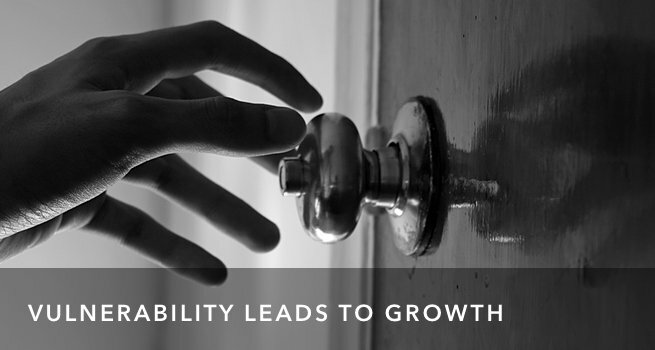 Yet the very things she is desperate for are held at bay by her unwillingness to be vulnerable. Being vulnerable is scary. It’s the place where we risk being hurt. And yet it is the only place where real trust can be built. This is so with friends and with husbands or wives. It’s so with God. Until we are willing to be open, willing to be misunderstood, willing to risk being hurt we can’t really experience what love truly is. It feels painfully backwards. If we found the right people, then we could really be vulnerable. But the kind of relationships that we long for don’t grow well in that kind of conditional environment. No. 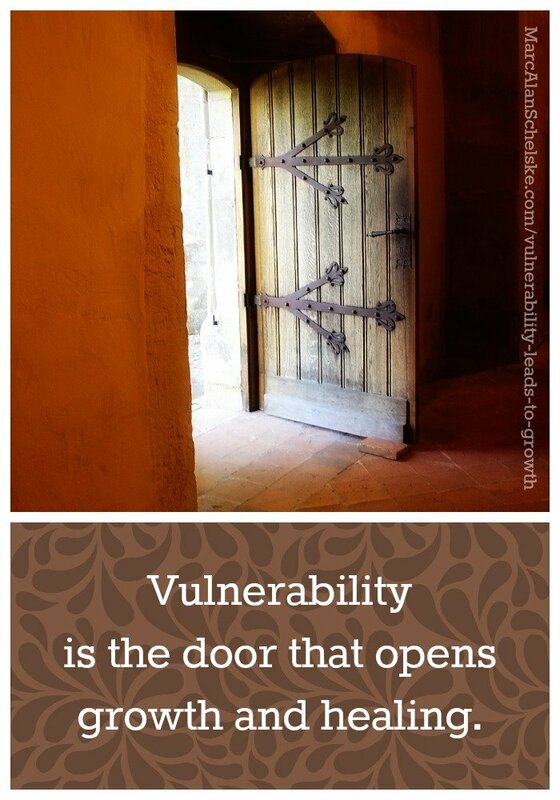 Vulnerability is the door that opens growth and healing. I’ve been praying for my friend. Praying that her heart will crack open, that she will find the courage to open herself just a bit to vulnerability. I can pray the same thing for you. Father in heaven, it feels like too much some days, the requirement to be vulnerable. To put our heart, with all our ragged insecurities right out there in public, it’s too painful. The nagging questions of self-preservation echo. What if they don’t listen? What if they don’t understand? What if they judge me? Don’t accept me? Use my vulnerability against me? We want to reach out to You, to others in our lives, to know and be known. But we shout ourselves down because it just doesn’t feel safe. Gentle Savior, I ask for courage for my friends, courage to share their hearts anyway. Hold their hearts softly, remind them in whispers that their value doesn’t depend on what others think, that their dignity can never be stripped away, that you have already named them, loved them, gifted them and called them. I ask for Your guidance. Lead them to safe friends who will respect their vulnerability and match it. I ask for healing for their wounds, the ones that came at the hands of people who didn’t handle their hearts well. Bring them to a place where they can know the reality of being loved in spite of their weakness, where they can be vulnerable and find trust. I pray this in Jesus’ name, and for His glory. Amen.